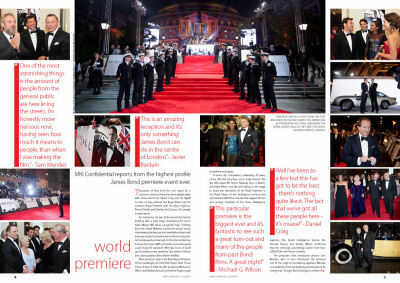 Whilst pundits' predictions of Skyfall's success definitely rang true, the 23rd Bond adventure surely surpassed even the most optimistic auspices, both in terms of substance, and box office success. 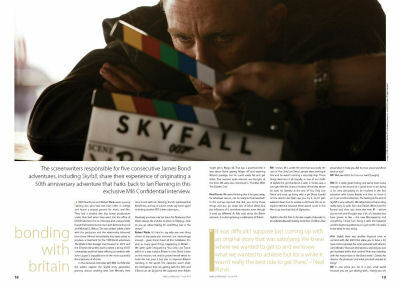 This issue celebrates that success, with a look at the global promotion and Royal World Premiere, and we turn back the clock to pre-production as screenwriters Neal Purvis and Robert Wade describe the genesis of the Skyfall screenplay in an exclusive interview. 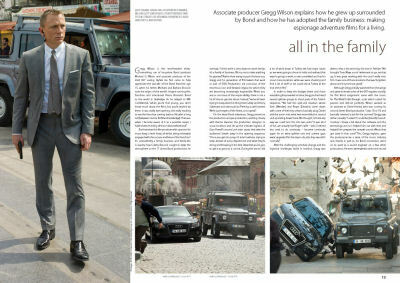 We also chat to Gregg Wilson - associate producer and son of Michael G. Wilson - about his bond with the franchise. 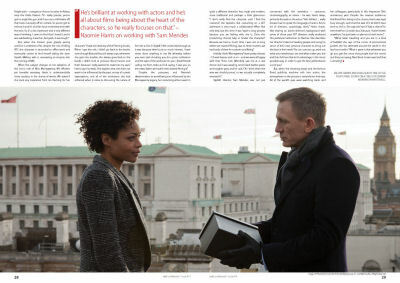 Finally, as Skyfall marks something of a fresh beginning for 007, the issue would not be complete without meeting the new Miss Moneypenny, Naomie Harris, and a celebration of Judi Dench's 17-year run as 'M'.